If you are bestowed an opportunity to choose that one vacation type, what would it be? River rafting, camping, trekking, snorkeling or wildlife safari at Pench? Majority of us in our lifetime must have definitely experienced trekking, river rafting or camping for that matter but Pench wildlife safari has not been enjoyed by many. So if you are looking further to this thrilling, fun-filled and awe-inspiring experience at Pench National Park, there are various factors that you need to aware about prior to starting your wildlife expedition. This guide here is for the beginners who would wish to take their first-ever wildlife safari in India. As a beginner, you need to study about all the factors before actually starting with the journey to Pench Tiger Reserve. 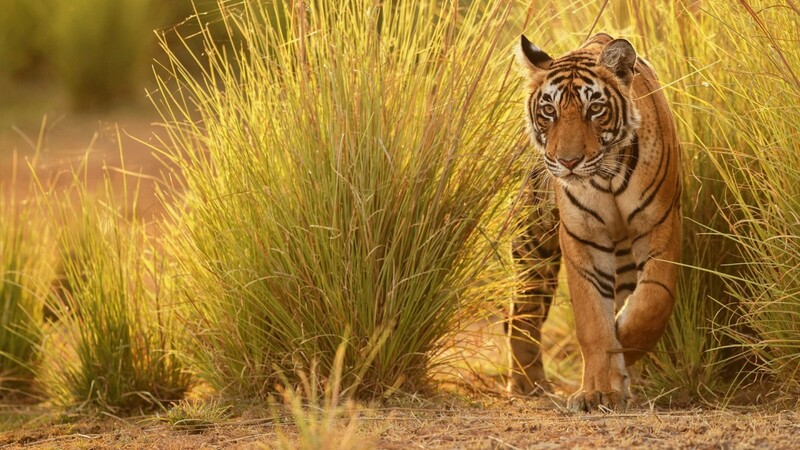 It is good to know what kind of Pench National Park tour package you are going to be on and what all it will include. Here are a few basic things that you must have some knowledge of. • All those people who don’t know what exactly wildlife safari is and what defines it, well, in simple terms it is a tour through the wilderness. Wildlife Safari does not mean hunting. It means a recreational activity to be enjoyed, witnessing the natural beauty and be a part of its vast kingdom for some time. • Wildlife Safari is all about thrilling adventure activities such as driving through the jungle, sightseeing with local guides, experiencing rich flora and fauna followed by trekking expedition and staying at premium resorts. All these activities you can do so by selecting jeep safari, canter safari (for playful rides) or safari of other types as per your personal interests. If you do not actually have much of an idea about the Pench National Park safari travel then prior to getting into the in-depth detail, why don’t you attain some travel inspiration? Now you must be thinking what this travel inspiration concept is. In simple terms, it is going through the real-life experience of other travel enthusiasts. Yes, there is an assortment of blog posts of different travelers discussing their interesting experiences as to how enlivening was the entire jungle safari. What made jeep safari different from any other safari? Or, how it felt to observe wild animals from a short distance? If post reading all this, the bug of taking jungle safari to Pench Tiger Reserve bites you then there is pause for you. Real life experience of forest safari from other travelers not only motivates you to go for it but also assists you in avoiding mistakes. The dilemma faced by the earlier travelers or the mistakes committed by them will turn into a learning lesson for you. Therefore, reading the travel inspiration blogs is essential. Lastly, as a beginner, you should travel safe with experienced people around you. That’s when, booking a Pench Tour Package comes into consideration. By booking your safari online, you can ensure that your entire travelling process is hassle-free and your wildlife voyage is conducted smoothly.